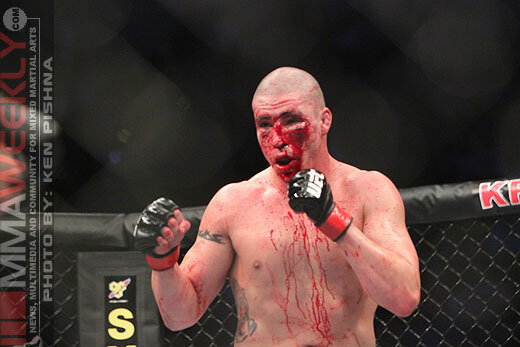 MMAWeekly Radio Weekend Edition goes in-depth with UFC 135 fighter Diego Sanchez, as well as talking UFC 134 in Rio, and a special segment about Defense Soap. Everyone knows Diego Sanchez from his time on The Ultimate Fighter season 1 and his ride through the welterweight and lightweight divisions. But in this telling interview, Sanchez opens up about a myriad of subjects including his own battles with alcohol and drugs. “I was smoking weed, partying and it really held me back,” Sanchez said. Now with a renewed spirit and focus as well as rejoining his original team at Jackson’s MMA, Sanchez is ready to conquer the 170-pound weight class. The next test is facing UFC Hall of Famer Matt Hughes at UFC 135. Also on the show, we go in-depth in discussion about UFC 134 and the events that took place in Rio just last night as well as a segment on Defense Soap and the problems with staph and other skin diseases in MMA.